Kelly O'Rourke on Happy Earth Day! Before we get started, please take a moment to read some of the Frequently Asked Questions here. RICHMOND, Va. – The City of Richmond is offering to reimburse homeowners up to $2,500 to replace lead pipes in their home. If you own a home in Richmond that was built before 1986, you may have lead pipes. That could lead to small amounts of lead being deposited into the water line. Now if you want to replace those pipes, the city wants to help you pay for it. Thanks to the Residential Lead Service Line (LSL) Replacement Grant Program, the Department of Public Utilities will pay up to $2,500, if residents hire a plumber to replace lead lines running from the water meter to their home. The homeowner is responsible for any costs exceeding the $2,500. You have to fill out an application to see if you’re eligible. In addition, if you’ve replaced your pipes since July 1 of 2017, you could be eligible for a reimbursement. For more information about the Lead Service Line Replacement Grant Program, click here. 1) Why does this article link to a web page for the Wisconsin Department of Natural Resources? Not exactly helpful, no offense. 3) How does this work with multifamily property with or without multiple meters? 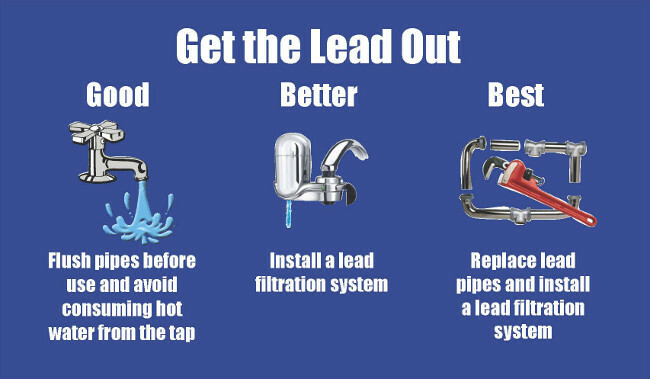 4) There appears to be at least one benefit to having lead service lines – in the event of a frozen water line (common in older buildings with uninsulated crawlspaces and such) I have heard lead pipes are much less likely to burst because lead is softer/less brittle than other materials. Is this true, and, considering the cost of insulating or heating these spaces, is there any other way to mitigate the risks associated with keeping the lead service line? Or any way to preserve this (alleged) benefit while removing the lead? 5) Lead poisoning is often said to be more common amongst renters and in low-income neighborhoods, and is now thought to play a much larger role in urban poverty and urban crime rates than previously realized. Has the city given any thought as to how renters and landlords can take advantage of this program or how to make it as easy as possible for folks on a tight budget? Overall, this sounds like a great idea, but again, where’s the actual info? This one came out too soon! We sometimes schedule things in advance but missed an opportunity with this one. The correct program and link applications are now fixed. As for the other questions, that’s going to involve a little more research. We’ve reached out to the Department of Public Works and will update this- or write something else soon! Note: the original article had some dead links which have now been fixed! We’re also reaching out to the Department of Public works to get answers to questions in regards to multifamily properties and renters. Is this just for city residents? 8. When is the application deadline? The deadline for applications is April 6, 2018. 9. When must work be completed? All work must be completed by June 30, 2018. Thank you. We’ll update the article with this info. No matter what the deadline is, the application also states: “Complete lead line replacement must have taken place between July 1, 2017 and February 26, 2018” so I think it’s too late for anyone to bother with the application. Links on CBS6 articles are incorrect. Links to applications in this article are for reimbursement only. HERE is the official page on the City’s grant program. When we bought our house in CH, our inspector told us that even if we changed the pipes leading to our house, it really would not matter as the rest of the city’s water pipes are lead.